In early 2012, Baltimore City issued hundreds of erroneous speed camera citations from two cameras which were configured to enforce the wrong speed limit, a situation first reported on WBFF news. In an unrelated example of errors, Baltimore City was found to have issued a speed camera citation to a motorist who died over three years previously. The state senate voted to keep "workzone" speed cameras at workzones where no workers were present, voting against an amendment that would have removed language from the existing law permitting workzone cameras where there are no workers. You can see which state senators voted to keep workerless workzone cameras here. The state legislature narrowly avoided passing legislation which would have allowed private contractors to sign and approve speed camera tickets, rather than police officers Two of the sponsors of the bill attempted to claim that the legislation would not have allowed private speed camera contractors to approve speed camera tickets, a claim clearly contradicted by the fiscal policy notes of the bill. The bill passed the senate was luckily killed in the house, for now. The state Environmental matters Committee ignored please from motorists groups and recipients of erroneous tickets, rejecting a bill which would have provided stricter standards for speed camera evidence and banned contingent fee contracts. After receiving extensive evidence of speed camera errors and abuses, the committed, headed by Maggie McIntosh (D Baltimore City), relegated the bill to an interim study to be conducted over the summer of 2012... a study which never took place. DC budgeted to increase annual photo enforcement revenues by $30 million, succeeding in producing a record $85 million in revenues in FY2012 DC has since announced plans to double its number of speed and red light cameras in 2013. The town of Glen Echo asked state lawmakers to authorize stop sign cameras, in order to enforce rolling stops at stop signs. DC began using announced plans to use its first stop sign cameras. 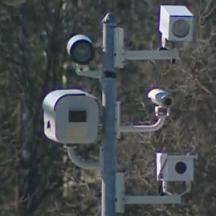 In a crushing blow to the rights of motorists, the Maryland High Court ruled in the case of "Baker vs Montgomery County" that members of the public have no right to file class action suits seeking the refund of speed camera citations for any reason, claiming that the state's speed camera law does not provide any explicit authorization to sue a local government. The court further stated that a class action could not proceed because paying a citation was an "admission of speeding" (in the wording of the ruling)... ignoring the fact that many tickets go to people other than the driver or that there are reasons people pay citations other than the fact that they believe themselves to be guilty. The ruling was a cruel demonstration that Maryland's high court believe their duty is to protect the political establishment and the treasuries of local governments, and proof that Maryland's justices consider their employer, the government, to be above the law. A police officer accused Riverdale Park of fraudulently approving speed camera citations by imprinting his signature on citations which he never reviewed or approved, a practice with some similarities to the "robosigning" scandal in the mortgage industry. The town refused to answer questions from the press and suspended the whistle-blower for several weeks. A lawsuit is pending on the issue seeking to refund the improperly-approved citations. However Riverdale Park made a motion asking the court to dismiss the suit... using the Baker vs Montgomery County decision to hide behind. The motion to dismiss did not challenge the basic premise that citations were sent with the signature of an officer who did not sign them, something which would constitute criminal forgery and/or fraud if an ordinary person did it. The City of Rockville began issuing red light camera tickets to vehicles making slow-moving right turns, a move which caused their red light camera program bringing in five times as much ticket revenue in the first month the new cameras were deployed. Prince George's County had so many problems with people vandalizing speed cameras that it announced it would begin deploying cameras to watch its speed cameras. Truck drivers in Baltimore City began questioning the accuracy of speed camera citations, accusing large trucks of traveling twice the speed limit, speeds that were contradicted by videos taken by the speed cameras. Documents obtained by StopBigBrotherMD.org showed that Baltimore and Xerox corp had been aware of erroneous speed readings by one camera as early as February 7, but that the camera remained online until November. An in depth investigation by the Baltimore Sun revealed NUMEROUS examples of errors by city speed cameras, including one case where the cited vehicle was not even moving. Other media outlets such as WBFF discovered additional examples of errors. Under mounting pressure from affected companies, individuals, the press, and motorist groups, speed camera contractor Xerox corp made an unprecedented admission that at some of its cameras locations 5% of citations were due to errors. Lanham based speed camera vendor Optotraffic provoked outrage by accidentally annexing the town of Elmwood Place Ohio into Maryland, issuing thousands of citations listing the Ohio location of the alleged violations as being in Maryland. A state audit of the SHA revealed multiple problems with the state's "SafeZones" speed camera program, including problems with the way cameras were calibrated and failure of contractor Xerox corp to meet certain contract requirements for testing and certification of the devices. In order to deal with equipment problems, it was disclosed that over half of the images recorded by the cameras had been thrown out. Better late than never: Governor O'Malley stated that contingent fee speed camera contracts may violate the intent of state law, and that jurisdictions which use them "need to change their program". This issue is one which StopBigBrotherMD.org has been following even since before O'Malley signed statewide speed cameras into law, and now MOST speed camera programs in the state are defying a provision of the law which was supposed to ban per-ticket bounties for speed camera contractors.